At Land Rover Cincinnati, our lease specials vary every now and then, so it’s important to keep your eyes and ears open and take advantage of our great lease specials when they’re available. These lease specials can range from having zero to low down payments, zero to low-interest financing, to even receiving money back specials or low monthly payments. In addition, individuals in school, in the military, or involved in other local programs/affiliations may also qualify to receive additional perks on their leasing offers. 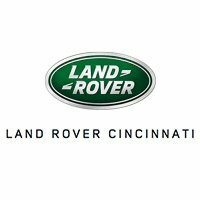 Why Lease a Land Rover from Land Rover Cincinnati? Leasing a vehicle from Land Rover Cincinnati is a smart financial decision. We price our Land Rover models to sell or lease, which means you can drive a luxury vehicle without compromising your savings. In addition, we’re flexible with our leasing contracts, so you can end up trading your leased vehicle in for the latest and greatest Land Rover model in as little as two years—or feel free to buy it outright from us if you’ve fallen head over heels. Plus, we have the best team around Cincinnati, so you’ll simply want to work with us. Take advantage of our Land Rover lease deals or Range Rover specials today by contacting us or visiting our team at Land Rover Cincinnati!